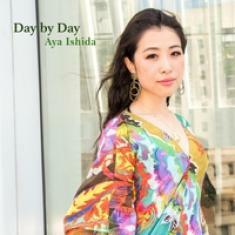 New York-based jazz vocalist Aya Ishida is an artist who puts so much into her music. When listening to her new release, Day By Day, you know exactly how much this one means to the performer. The tone is personal, tinged with emotion, yet energetic and easy to relate to. They say that great music is all about being able to tell a story with the audience; it doesn't matter if you choose to do it through words, music alone or a combination of both - there has to be a connection, which makes listeners empathize with the artist and her material. Ishida is able to create a sound that feels warm and organic, yet direct and engaging. If you enjoy the sound of seminal jazz recordings with an innovative twist, you are certainly going to enjoy the tone of this release. Whether you are a longtime fan or a newcomer to this genre, this release might be an excellent starting point for you; it's a superb combination of melodic ideas and solid arrangements, converging into a very special musical work.